Tracey is our supervising teacher. She joined Waterloo Co-operative Preschool in September 2013. In 1995, Tracey graduated with her Social Services Diploma from Conestoga College and led life skills groups at the Canadian Mental Health Association for adults with mental health concerns and volunteered with inmates at the Guelph Correctional Centre. Tracey began working with children at the Guelph YM/YWCA as a team teacher. She was promoted to team leader after obtaining her School Age Certificate (with distinction) in 1998 and eventually became School Age Supervisor with a team of 10 staff. After the birth of Tracey’s first child, Tracey opened and operated her own licensed private home daycare for 10 years while her children were young, she continued to participate in workshops, attend conferences, and join panels to keep her skills up-to-date. Tracey continued her studies and became a Registered Social Services Worker in 2008 and a Registered Early Childhood Educator in 2010. Tracey has also worked as a child care supervisor and supply staff in kindergarten with the Board of Education and an inclusion facilitator for children with differing needs. Tracey have been involved in licensed child care for over 20 years now and is always ready for a challenge. Tracey is the mother of two beautiful young women. Her family has been very involved in soccer and hockey, horses and ball. Tracey volunteered to coach when the girls were young and to fundraise as they got older and more competitive. She enjoys cottaging, fishing, dirt biking, hiking and snowmobiling. Tracey stands on the board for the Whiskey Harbour Rocks Association and organizes the children’s games for the Rate Payers association during their annual Pig Roast in Pike Bay. Tracey believes that developing close relationships with the families she partners with will enhance child development in a fun and enthusiastic way. 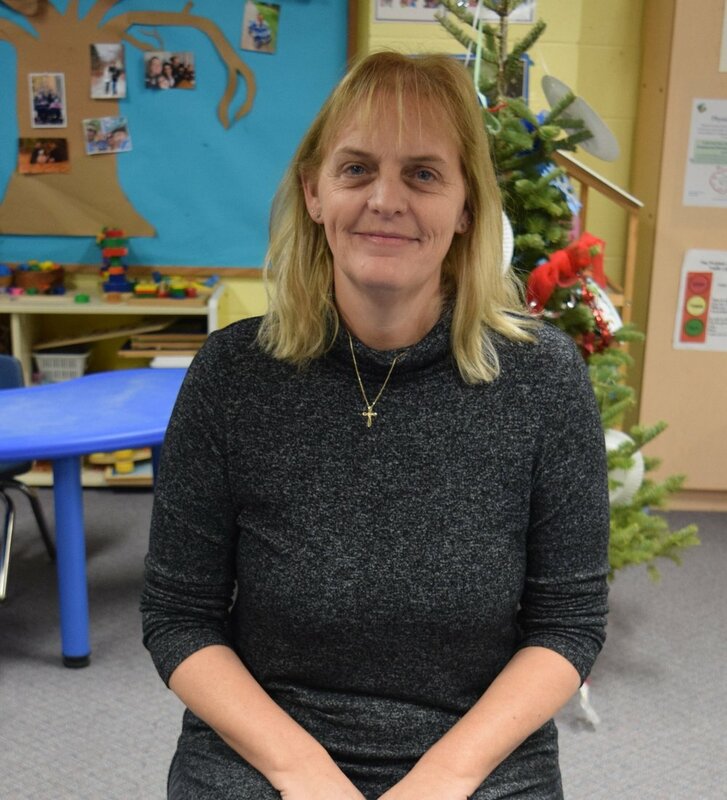 Tracey enjoys mentoring University students and Early childhood education students who come to Waterloo Cooperative preschool to complete their placements. Tracey is thrilled to take part in partnerships within the community while fostering and promoting inclusion and diversity in our Preschool. Tracey embraces the opportunity for you to allow your child to grow within our preschool. Tracey thrives on watching the children she guides grow into confident young people full of adventure and curiosity… with a love for learning. Patty is our assistant teacher. She joined Waterloo Cooperative Preschool in January 2018. 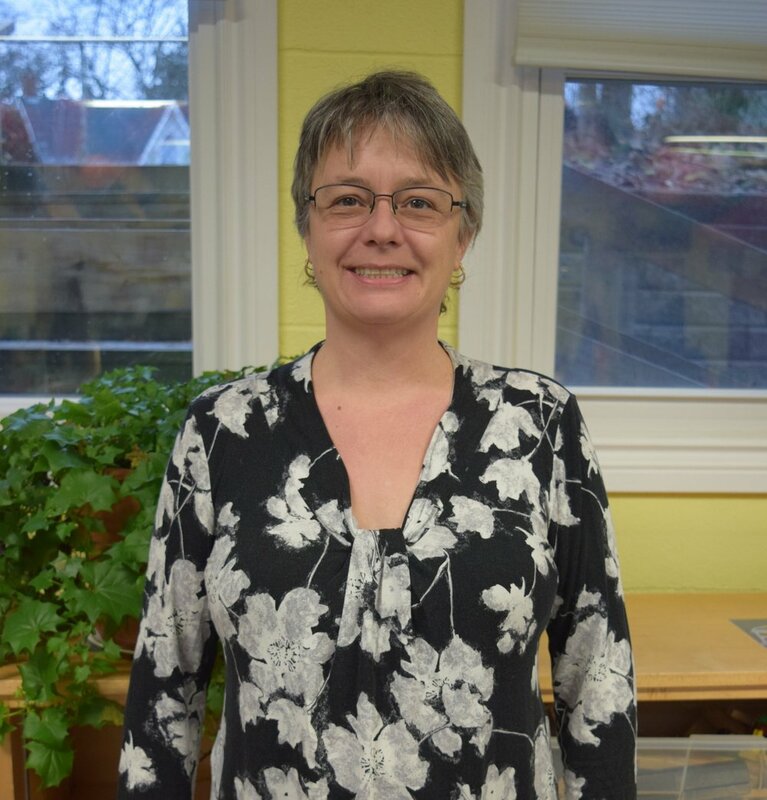 Patty is very excited to be a part of The Waterloo Co-operative Preschool and looks forward to learning with your children, having fun, and new adventures. In November 2013, Patty decided to pursue her childhood dream of being an ECE. She took a supply position at Creative Beginnings in Baden and fell in love with the career. A position became available and she worked part-time in the after school program and enrolled in the distance ECE program at Loyalist College. Patty left Creative Beginnings after working a year to take a position at Inspiring Minds in Wellesley in their kindergarten after school program. She worked in the program for 3 years, working a year in the before school program too. More recently, Patty worked two full days a week, one day in the Toddler room and one in the Preschool room, while continuing to work in the after school program. At the end of August Patty left Inspiring Minds to finish her ECE course, which was a placement in the Kindergarten classroom at Grandview Public School. During this time Patty was given an opportunity to work in Tavistock Preschool two mornings a week and in an after school program at Holy Family School in New Hamburg, all while still finishing her placement hours. On December 18th 2017 Patty finished her hours and her ECE course and registered to the College of ECE. Patty currently lives in New Hamburg with her husband and three grown children.